After Ludwig von Mises’s death in 1973, his wife, Margit von Mises, went through his unpublished and out-of-print essays and selected twenty-one of the essays for publication. The result was Money, Method, and the Market Process, published in 1990 by Kluwer Academic Publishers and the Ludwig von Mises Institute and reissued now by Liberty Fund. 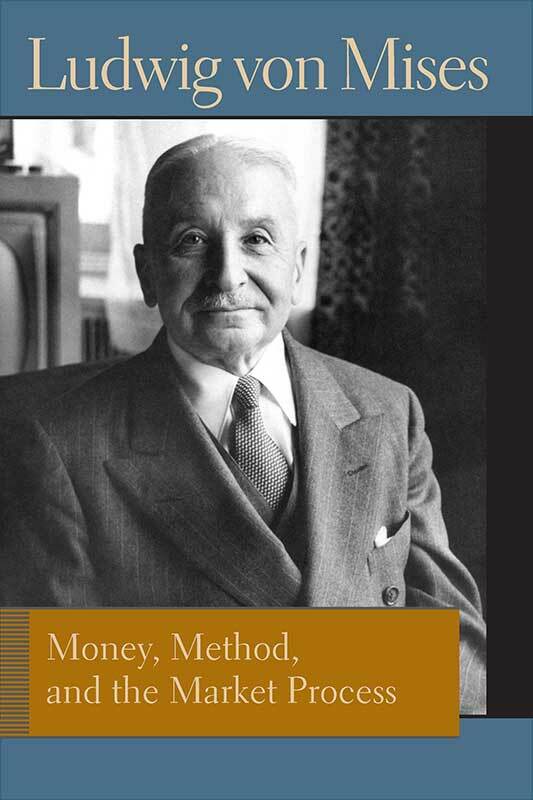 In his introduction to the book, Richard Ebeling describes it as a “convenient composite of ‘Misesian economics.’” He says that the essays here touch on “almost every aspect of economic and social theory that Mises considered of paramount importance. The essays were written from the 1930s to the 1960s, so they serve as a wide sampling of Mises’s thought on a range of subjects, and they are arranged thematically. Please note that Liberty Fund is licensed by Springer Science + Business Media to sell this title in the USA only.